Keep the bats at bay with professional bat proofing from Midwest Bat Specialists LLC. Make certain that your home stays free from bat infestation with professional bat proofing. Wisconsin’s hilly terrain and large bodies of water offer an ideal climate and environment for Large and Little Brown Bats that often infest homes and businesses. Midwest Bat Specialists LLC. can help you bat proof your property to prevent infestations and safeguard you from harmful contaminants. Midwest Bat Specialists LLC. can bat proof any space, from commercial properties to your family’s home to ensure that bats can’t create nests. And, if you’re already experiencing bat issues, you can get a FREE, online estimate to start your project. Midwest Bat Specialists LLC. will always ensure you’re getting a fair price by MATCHING OR BEATING all of our competitors’ written estimates! Midwest Bat Specialists LLC. brings you complete and humane bat-proofing services so that you can take back your home. We’ll start your project with an estimate that will be finalized on-site so that you’re always aware of the price with no gimmicks. We’ll then seal any exterior holes or gaps to prevent bats from entering your home. If any bats are found, we’ll employ the humane exclusion method which is approved for bat conservation by the Wisconsin DNR. Essentially, this method uses a one-way door to allow the bats to leave your property but prevents them from returning. In the summer months, while the bats are active, the exclusion method is usually successful within 24-hours. During the next month, you’ll report any issues to ensure that the bats haven’t returned and that any effects of the infestation are being handled. And, you can ask Midwest Bat Specialists LLC. about any available GUARANTEES and about DISCOUNTS available for seniors and returning clients! 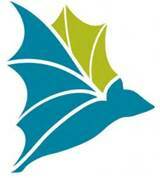 Proud sponsors of bat conservation international. We use eco-friendly methods for bat proofing, including the exclusion method. And all of our practices adhere to Wisconsin DNR standards! Get a FREE, online estimate for your bat proofing! If you've got an ongoing bat infestation or you're worried about future problems, call Midwest Bat Specialists LLC. today or get a FREE, online estimate. And we'll MATCH or BEAT competitors' written estimates so you'll always get the best pricing available!